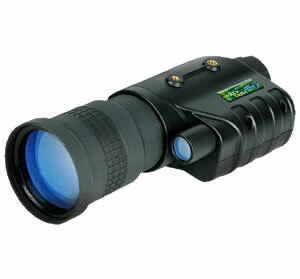 BERING OPTICS is an independent manufacturer of a full-line of night vision optics and accessories. The founder of the company has been in the night vision industry for over 15 years and has been instrumental in many of the innovative products currently available in the marketplace today. BERING OPTICS is one of the few remaining producers of night vision optics that creates and designs its own products in-house at its headquarters in Texas, USA.  Maximum durability - Bering Optics' devices utilize real rubber - while many manufacturers use modified plastics; which means that with time or in changing weather conditions, competitors products may lose their original quality and feel. To ensure customer satisfaction, all products come with the Bering Optics Limited Lifetime Warranty*, with no time limit and no warranty card required. Bering Optics has Service Centers located in Europe and at our headquarters in Texas, USA. 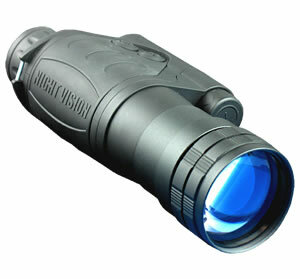 The Polaris night vision scope features fully multi-coated optics. The unit has a wide field of view that is perfect for viewing moving objects and hunting varmints. The integrated powerful IR Illuminator enables clear viewing when ambient light levels are low. The ergonomically designed Polaris has a durable body with satin coating that makes it comfortable for extended operation. The Polaris features an automatic shut off when exposed to an intense light source for longer than two seconds. This protects the images intensifier tube from damage. This unique feature will not be found on any other similar Gen1 in this price category. Magnification - 2.5x, Objective lens diameter - 40mm, Lens system - 59mmF/1.2, FOV at distance 200 yards, ft/m - 162 / 49, Focus range, yards - 1.5 to infinity, Eye relief distance - 12mm, Diopter adjustment - +4 -4, Detection distance (approx.) yard / m - 250 / 225, Overall dimensions, in/ mm - 7.09''x3.07''x2.36''/180x78x60, Weight, oz/g - 15.17 / 430, Power supply - CR123 1.5V battery (one), Estimated battery life (w/out IR) - up to 60 hours, Operating temperature °F/°? - -22 to +113 / - 30 to +45, Water intrusion - Meets IPX4 rating, Humidity - up to 93%. Night vision monocular, Lens Cap, Protective carrying case, User manual. 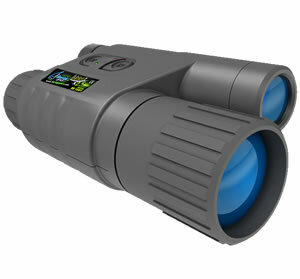 The Polaris night vision scope features fully multi-coated optics. The unit has a wide field of view that is perfect for viewing moving objects and hunting varmints. The integrated powerful IR Illuminator enables clear viewing when ambient light levels are low. The ergonomically designed Polaris has a durable body with satin coating that makes it comfortable for extended operation. The Polaris features an automatic shut off when exposed to an intense light source for longer than two seconds. This protects the images intensifier tube from damage. Magnification - 3.4x, Objective lens diameter - 50mm, Lens system - 80mmF/1.2, FOV at distance 200 yards, ft/m - 120 / 37, Focus range, yards - 1 to infinity, Eye relief distance - 12mm, Diopter adjustment - +4 -4, Detection distance (approx.) yard / m - 300 / 270, Overall dimensions, in/ mm - 7.87''x3.07''x2.36''/200x78x60, Weight, oz/g - 20.81 / 590, Power supply - AA 1.5V battery (two), Estimated battery life (w/out IR) - up to 60 hours, Operating temperature °F/°C - -22 to +113 / - 30 to +45, Water intrusion - Meets IPX4 rating, Humidity - up to 93%. The Wake2 monoculars are gear for observation at distance ranges up to 250 yards. The wide field of view is perfect for viewing moving objects. The unit has a built in powerful IR illuminator that enables clear viewing in low ambient light conditions at ranges up to 50 yards. The ergonomically designed, durable, satin textured body is very comfortable and makes the users experience much more enjoyable. The lens focusing ring provides a fast, precise and efficient way to quickly focus on objects. Wake2 features include an automatic shut-off after 2 seconds, when exposed to an intense light source. This protects the image intensifier tube from damage and is a feature unique in its class that will not be found on any other similar Gen1 night vision device. Wake2 is 20% more energy efficient than its competitors resulting in a 60 hour battery life is the best in its class. Also a built-in, is a ¼ tripod socket that makes extended observation more comfortable. Finally, there is a slide-in groove, which firmly holds the lens cap to the monocular body to prevent misplacing the lens cap. Magnification - 2.5x, Objective lens diameter - 40mm, Lens system - 59mmF/1.2, FOV at distance 200 yards, ft/m - 162 / 49, Focus range, yards - 1 to infinity, Eye relief distance - 12mm, Diopter adjustment - +4 -4, Detection distance (approx.) yard / m - 250 / 225, Overall dimensions, in/ mm - 7.09''x3.15''x1.97''/180x80x50, Weight, oz/g - 127 / 340, Power supply - CR123 1.5V battery (one), Estimated battery life (w/out IR) - up to 60 hours, Operating temperature °F/°C - -22 to +113 / - 30 to +45, Water intrusion - Meets IPX4 rating, Humidity - up to 93%. 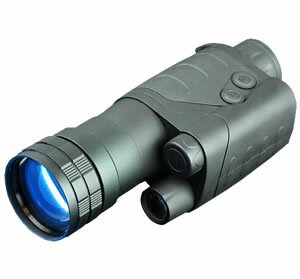 The high-powered magnification HiPo night vision monocular is best suited for long range observation purposes. HiPo ranks among the best in the Gen 1 class for the quality of image and the detection distance. The unit was designed with the users comfort in mind. HiPo also ranks top in the industry in terms of eye-relief distance, which allows the user to enjoy the viewing experience for prolonged time without experiencing eye fatigue. The HiPos body has a built-in weaver mount to allow the attachment of additional accessories such as an IR-flashlight. Magnification - 3.4x, Objective lens diameter - 50mm, Lens system - 80mmF/1.2, FOV at distance 200 yards, ft/m - 120 / 37, Focus range, yards - 1 to infinity, Eye relief distance - 12mm, Diopter adjustment - +4 -4, Detection distance (approx.) yard / m - 230 / 300, Overall dimensions, in/ mm - 7.8''x3.9''x2.6''/198x100x650, Weight, oz/g - 18.3 / 520, Power supply - AA 1.5V battery (two), Estimated battery life (w/out IR) - up to 70 hours, Operating temperature °F/°C - -22 to +113 / - 30 to +45, Water intrusion - Meets IPX4 rating, Humidity - up to 93%. Magnification - 4.3x, Objective lens diameter - 60mm, Lens system - 100mmF/1,2, FOV at distance 200 yards, ft/m - 118 / 36, Focus range, yards - 1 to infinity, Eye relief distance - 12mm, Diopter adjustment - +4 -4, Detection distance (approx.) yard / m - 385 / 350, Overall dimensions, in/ mm - 10.5''x3.9''x2.8''/ 266x100x70, Weight, oz/g - 24.7 / 700, Power supply - AA 1.5V battery (two), Estimated battery life (w/out IR) - up to 70 hours, Operating temperature °F/°C - -22 to +113 / - 30 to +45, Water intrusion - Meets IPX4 rating, Humidity - up to 93%.